Samsung launched their Samsung Galaxy Tab S3 tablet in the US back in March and the device costs $599.99 when it launched. Now Samsung has dropped the price of their Samsung Galaxy Tab S3 in the US by $100 and the tablet is now available for $499.99. As a reminder the features a 9.7-inch display with a resolution of 2048 by 1536 pixels, the tablet is powered by a Qualcomm Snapdragon 820 processor and it comes with 4GB of RAM. Other specifications on the Galaxy Tab S3 include 32GB of included storage, a 6000 mAh battery, Android Nougat, a 5 megapixel front camera and a 13 megapixel rear camera. 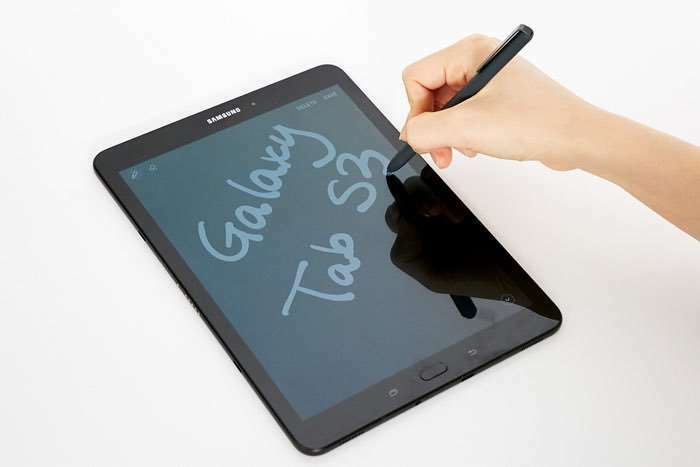 You can find out more details about the Samsung Galaxy Tab S3 over at Samsung at the link below, the tablet is now available for the lower price.